What’s better than a baby’s laugh? Nothing, that’s what. But what’s the trick to making them laugh? Spoiler alert: it mostly boils down to potty humor and learning to laugh at yourself. According to neuroscientist Robert Provine, author of Laughter: A Scientific Investigation, laughter is more about relationship – the way you catch the laughing bug from another person – than about what’s universally funny (cause what is?). Although anecdotal, professionals like clowns and other children’s entertainers have learned from practice what gets the biggest, quickest laughs. Professional magician Jack Bedell-Pearce notes that what gets him those reward giggles is often the unexpected. 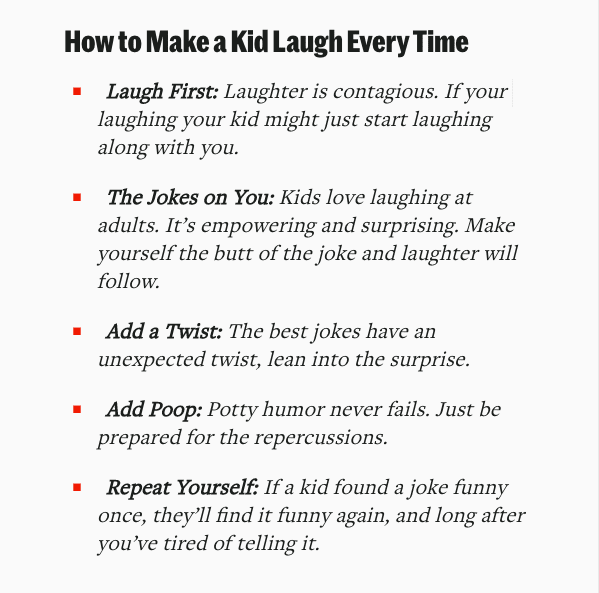 He also says that jokes at the expense of an adult, or that give kids more information than the adult has, go a long way. 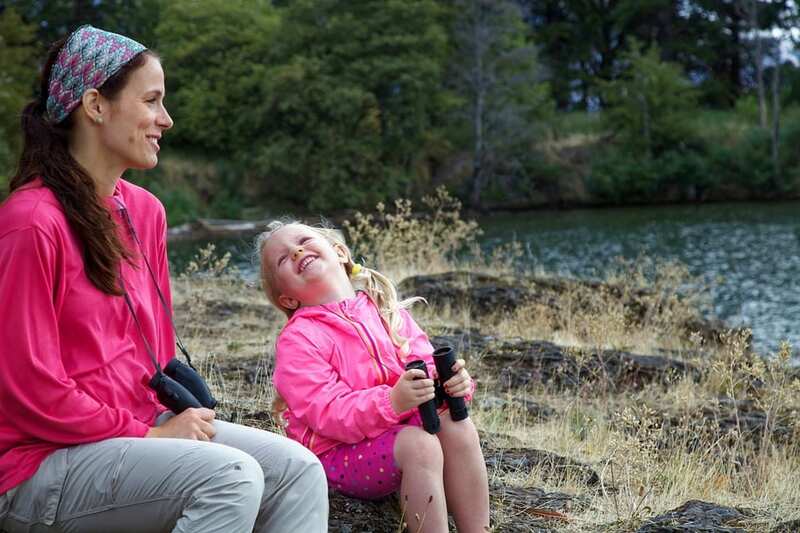 Sure, it’s cheap and gross, but laughing together is good for your family and has positive impacts on your child’s confidence and development, so go for the grossest one you can come up with. Also, repetition is candy to all small children. If you make them laugh at a joke once, there’s a good chance they’ll do it again, so you don’t even need a very big repertoire. My suggestion? Learn to laugh at poop jokes, too. After all, there’s not much better than cracking up with your family, and getting to be a kid again is one of the best parts of having children. Soak it up. Just remember to flush afterward. If These Snaps Don’t Make You Laugh, Do You Even Deserve Snapchat?